The building principal was proud of the work the eighth graders had done on their Immigration PowerPoints and asked me to sit in on a presentation session. 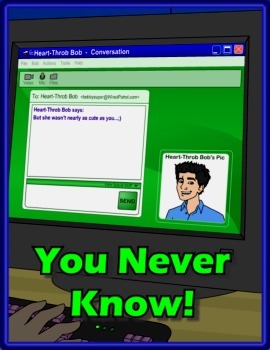 A majority of the slides had unreadable text, overlapping pictures, annoying backgrounds, grammatical errors, and distracting transitions. 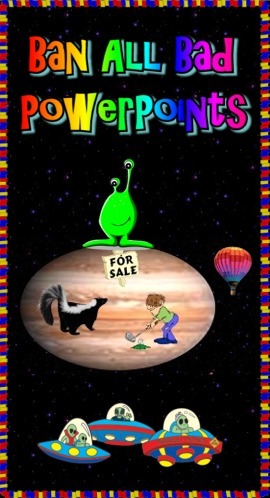 “Ban All Bad PowerPoints” is a two day lesson where students view a PowerPoint presentation, record the errors they found on a worksheet, and then make changes to the presentation before saving. Just showed this lesson today and my students were glued to the screen. They enjoyed pointing out the errors and in fact, found one or two I hadn't thought of! This is so cool! Great job! It's so hard to explain to students that Less is More! and not everything should be in neon! Thank you! Love it! Students can learn so much from what "not" rather than a list of do's. I also like the suggestion of doing it in small groups. Can't wait to use it when I begin a presentation unit with my seventh and eighth graders. 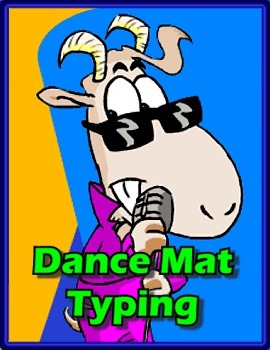 Welcome to Dance Mat Typing, a fun way to learn touch typing. There are four levels to play, each divided into three stages. You start by learning the home row keys. Each stage builds on previous lessons, introducing new letters as you progress. You’ll soon be touch typing like an expert! At the end of each level you can test your typing speed and get a fun reward. Can you really know who that "friend" is?